Bullet journalling mainly consists of two parts (that can be separate, or totally meshed together): the calendar/planner part, and the "collections" part. The planner part is pretty self-explanatory--this is where you write down your appointments and To Do lists--but collections, if you're not sure what they are, are really just lists of anything you want to keep lists of. People will keep lists of books they want to read, books they HAVE read, meal planning lists, bucket lists, gratitude lists, shopping lists, etc... 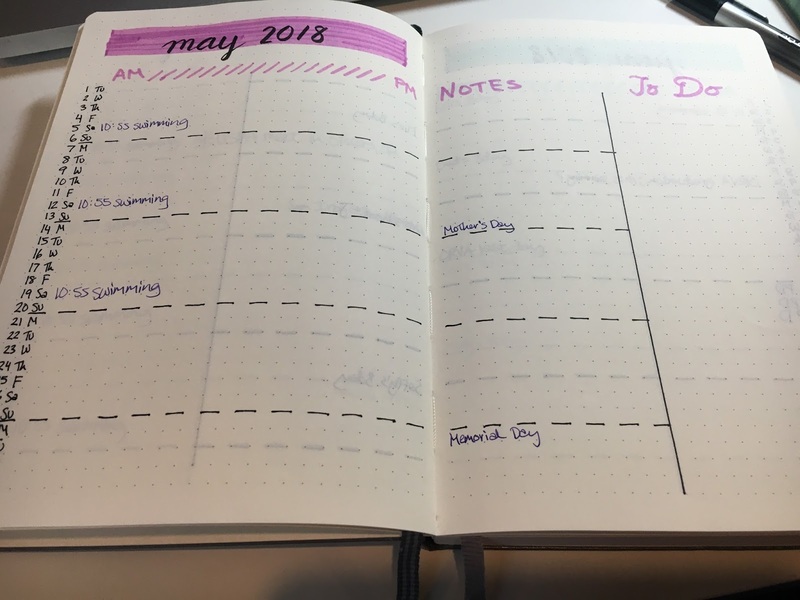 Your bullet journal essentially becomes part planner, part journal, depending on how you want to use it. 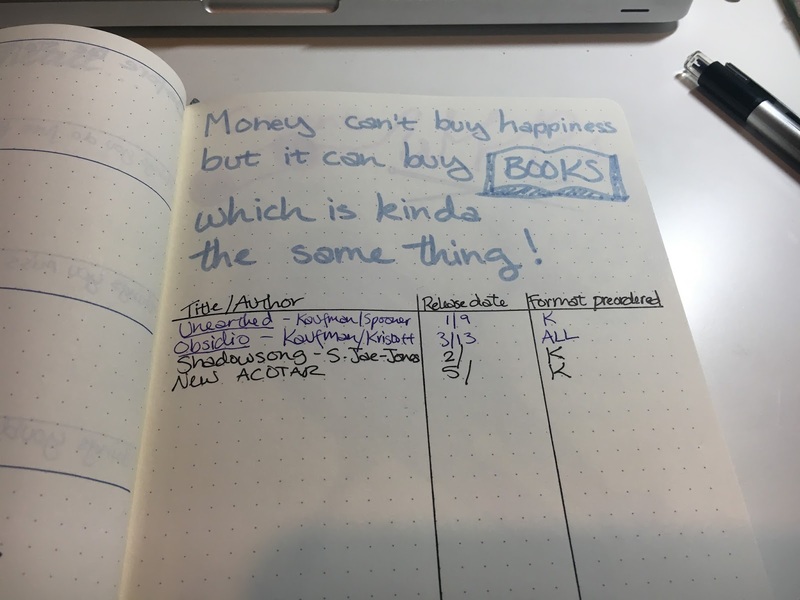 Bullet journalling is awesome because, again, it's highly customizable, and you can do it in anything--you can shell out for a $20 Leuchtturm or Moleskine, or you can use a composition notebook from the dollar store. 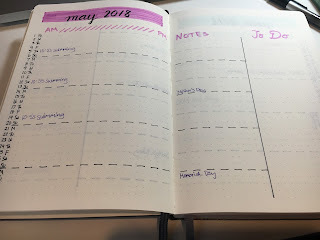 You can even use a premade planner (if you're less interested in customizing the spreads), and you can decorate it as much or as little as you want. 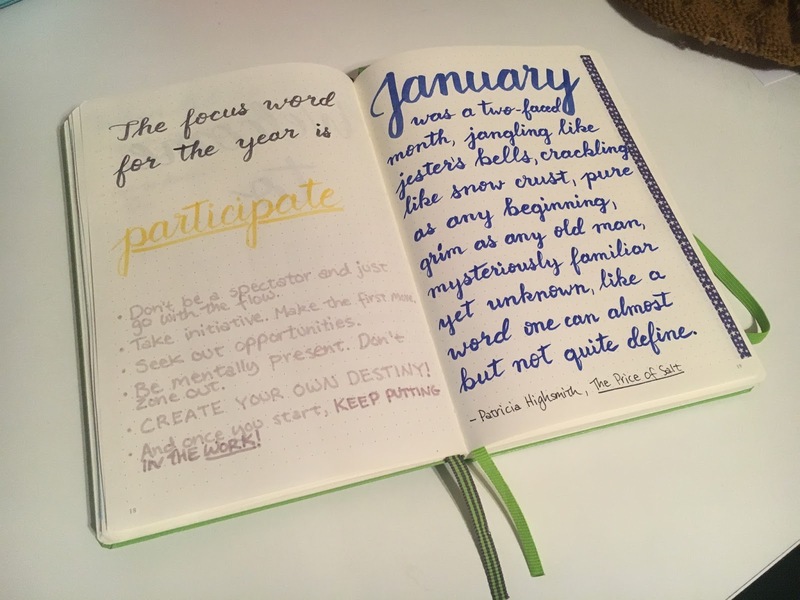 But of course, if you're brand new to bullet journalling, it probably doesn't help much to just tell you, "Hey, it can be whatever you want it to be!" You probably want some ideas, right? So here's a glimpse into what I do. I should note that I am highly fickle and easily distracted by pretty things, so I've switched back and forth a LOT between a Leuchtturm dot grid notebook and a Happy Planner, depending on my mood. The advantages of using an actual notebook are that you can customize it however you want to and you can change your format whenever you feel like it, while the advantages of using a pre-made planner are that you don't have to spend time drawing layouts (because they're already printed for you), and if you're not so good at artsy stuff like I am, you can usually find ones that are already pretty and cute (like Happy Planners or Erin Condren planners). - I put a > sign if I'm procrastinating postponing the item until another time. That's all. Three signifiers to remember, and easy to remember. I used to color-code my items, but it started to be a bit too much to carry so many pens around all the time, and I missed just being able to use color however I wanted to (artistically), so now I just reach for whatever pen is handy and I just use that. 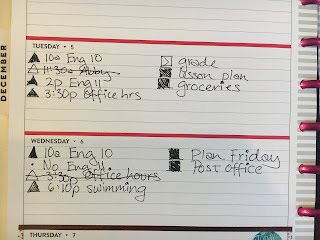 Sometimes (as you can see above) I separate out my timely items from my non-timely items, or sometimes I will separate out work items from personal items, but I always use these bullets. 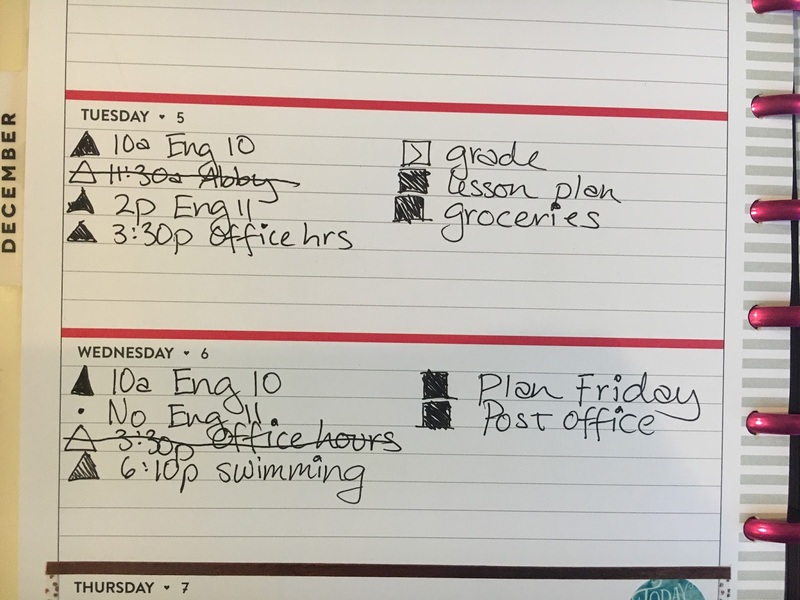 Also worth noting: I like to write out my plans day-by-day. I have a Future Log (where I write down all my upcoming stuff), but other than that, I like to sit down at the end of every day to write out my plans for tomorrow, and I try not to go beyond a couple days ahead. I find it soothing and creative, and it's a good way to check in with my calendar to see what I've got going on. I also have a smattering of collections: monthly bills/expenses, meal lists, a spice rack inventory (because I often forget to check my spice cabinet before I go grocery shopping), etc. This page is my "What books are coming out this year, and did I preorder them yet, and in what format?" spread. When I get closer to the fall, I usually make spreads for planning out holiday dinners, Christmas knitting, etc. When I'm traveling, I have a page dedicated to my packing list. Stuff like that. 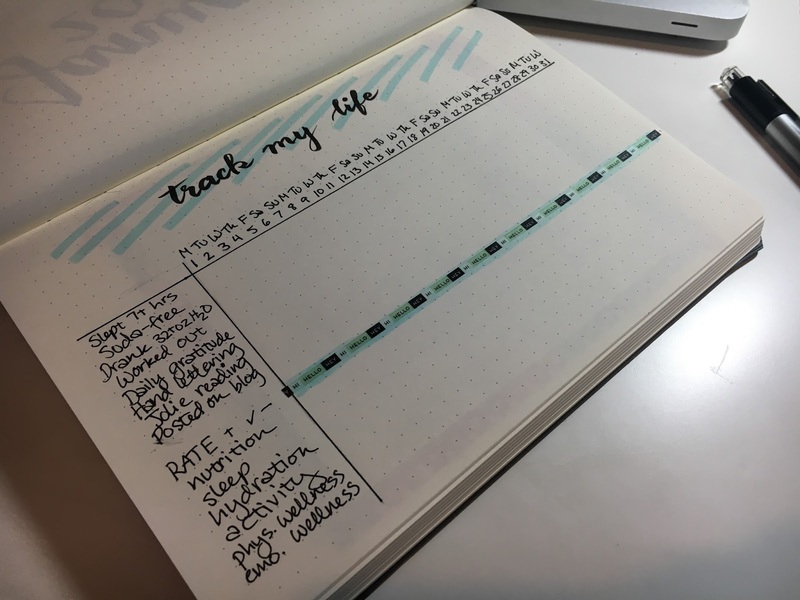 And I really like having a tracker set up for the month, even if I'm terrible at sticking with it. 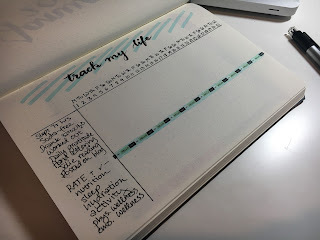 I really want to keep trying to build good habits, and filling out my tracker at the end of each day gives me a chance to reflect, and it also shows me in a very obvious and easily-readable way when I'm not sticking to my goals. In addition to all of the above, I like using my pages for random notes, quotes I like, lettering practice, journalling, etc. 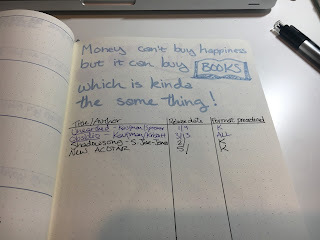 Make a list of what you actually need/want in your BuJo. That Instagrammer may have a really cool spread that tracks the daily weather, but if you really don't care about tracking the daily weather, then why do it, no matter how cool it looks? Only shell out for supplies if you want to. You don't NEED to. It is suuuuuper easy to find yourself suddenly drowning in pens, stickers, and washi tape, and it's very fun to decorate your BuJo, but just know that you don't HAVE to, and try not to feel pressured to. Come up with your own bullet system, one that is easy to remember and that actually makes sense to you so you don't have to refer to a key every time you write stuff down. Don't be afraid to make mistakes. Don't be afraid to just cross things out or even start over on a new page if you DO make mistakes. I have so many notebooks where I haven't written a damn thing in them because I'm too afraid of being not-perfect (oh, the possibilities of a blank page!) but in my bullet journal, it just is what it is. Especially since I'm not trying to be an Instagrammer. Above all, do what works for you. DO WHAT WORKS FOR YOU.